Numerous diagnostic, prognostic, and therapeutic issues concerning low-grade gliomas still remain to be clarified. 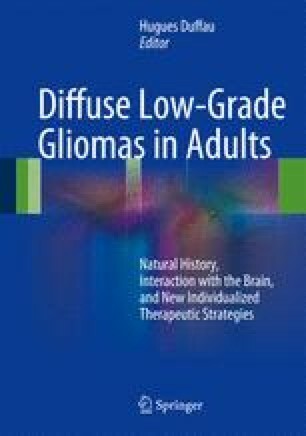 In this regard, in vitro and in vivo models of low-grade gliomas would represent a way to get insight into these crucial aspects. However, many of the in vitro and in vivo models assayed in the literature are focused on high-grade gliomas. For this reason, in this chapter we reviewed the literature on low-grade glioma culture describing the results so far obtained, highlighting limitations and envisioning promising innovative directions that research is undertaking in this critical field. Specifically, first, we critically presented the conventional methods adopted to study low-grade gliomas, such as continuous human tumor cell lines and short-term glioma cultures. Then, we discussed the culture methods utilized to isolate and in vitro expand glioma cancer stem cells from adult and pediatric tumors, underlining the need of optimizing new culture conditions because of the partial failure of the simple transfer to low-grade gliomas of the methods efficient in isolating glioma stem cells from high-grade gliomas. Finally, we presented the innovative, although still in its infancy, possibility to culture nonneoplastic stromal cells as a way to obtain cell lines representative of the biological behavior of the patient tumors. In conclusion, the aim of this chapter was to explain why the culture of patient-derived cancer cells represents a unique opportunity to create in vitro and in vivo models closely mimicking the biological properties of the patient tumor, thus allowing a patient-based approach.